Dan Smith and Steve McDonagh are the popular Chicago caterers who sent a tape to the Food Network in 2005 and beat out 10,000 entrants on The Next Food Network Star. They now star in their own Food Network show, Party Line with The Hearty Boys. Partners in life as well as business, the couple met when they were acting in The Fantasticks in 1986. At what point did you decide to abandon acting and make food a full-time career? 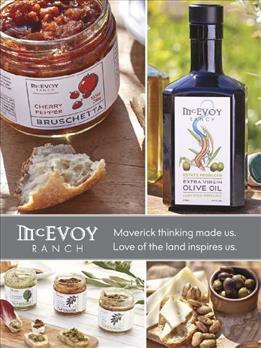 What is the coolest event you have catered? Any funny catering disaster stories? Your class menu this summer has a Middle Eastern theme– with gazpacho, kebabs, tabbouleh and rosewater cupcakes– is this based on a trip you have taken? Do you have designated roles? Steve and Dan have a new venture called HBTV. It gives people the experience of being a cooking show star, teaches them how to cook on-camera and how to use a teleprompter. Participants get to take home a DVD of themselves on camera. Do people send their HBTV DVDs as Food Network audition tapes or is it just for fun? How would you compare Chicago to the Bay Area in terms of food? As the parents of a toddler, do you have any tips on cooking for kids? 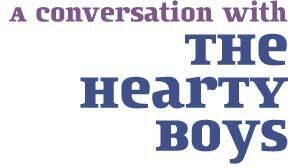 The Hearty Boys will be teaching An Enchanting Dinner Party class in San Mateo and Blackhawk on August 19 and 20, 2008 respectively. 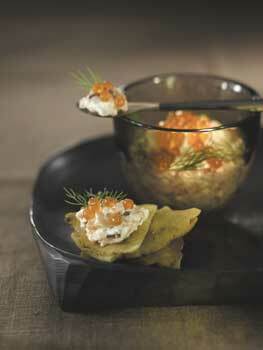 Their recipe for smoked salmon, vodka and caviar dip is below. Put the smoked salmon, sour cream, vodka, lemon juice, onion, dill, salt, pepper, and heaping tablespoon of the caviar into a large bowl and, using a rubber spatula, fold until well mixed. Transfer the dip to a decorative bowl and mound the 2 teaspoons caviar in the center. Garnish with fresh dill sprigs and serve with crackers or Savory Pita Crisps. *Can be made up to 2 days in advance.